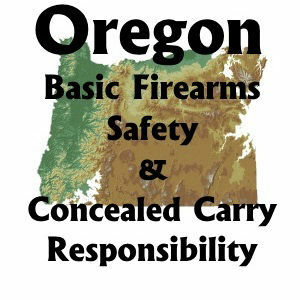 The class you need to apply for your Oregon Concealed Handgun Permit. This class covers all aspects of handgun safety as well as Oregon law and how it applies to firearms. Utah state required firearms class to apply for your Utah license. 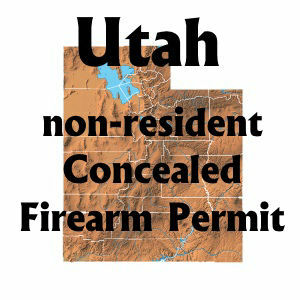 We cover all aspects of firearm safety, as well as Utah state law. 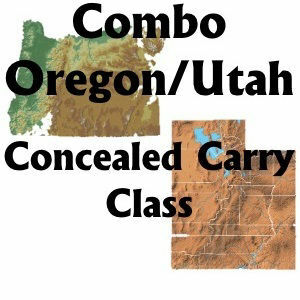 We now offer a single class where you can get the training necessary to apply for both your Oregon Concealed Handgun License and your Utah non-resident Concealed Firearms Permit. Be able to carry concealed in 35+ states. This is the best deal in town! 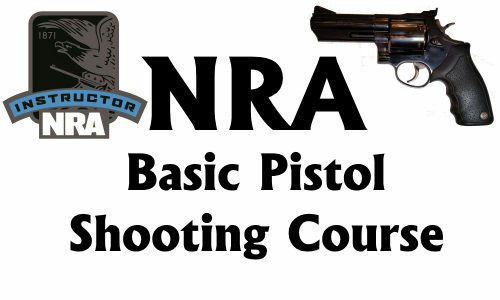 This course covers: gun safety rules, proper operation of revolvers and semi-automatic pistols, ammunition knowledge and selection, pistol selection and storage, shooting fundamentals, pistol inspection and maintenance, marksmanship, and shooting range safety. Additionally, students will complete live fire training and a nationally standardized shooting qualification while on the range with an NRA Certified Instructor. 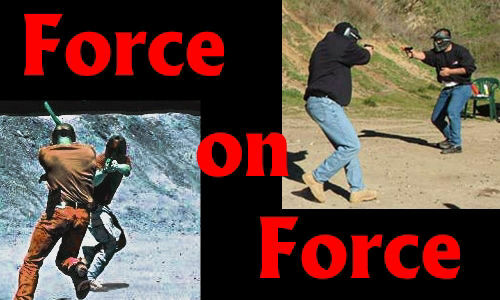 This course is at least eight hours long and includes classroom and range time learning to shoot rifles. 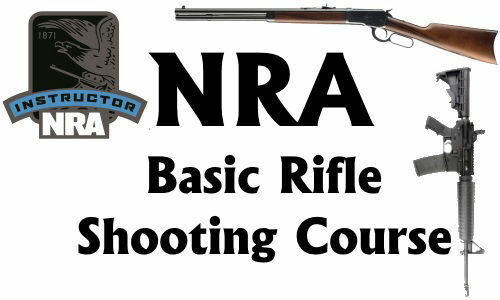 Students learn NRA’s rules for safe gun handling; rifle parts and operation; ammunition; shooting fundamentals; range rules; shooting from the bench rest, prone, sitting, standing and kneeling positions; cleaning. This is the class to take after you have recieved your Concealed Carry Permit to learn how to effectivly deploy your firearm. We learn how to keep you and your pistol in the fight. 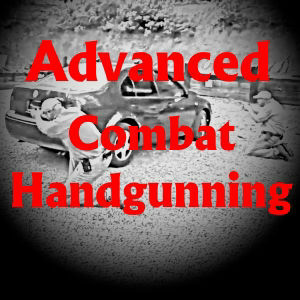 This is the first of the combat handgunning courses. 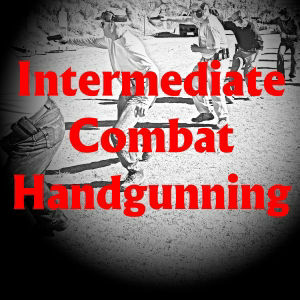 This class takes you to the next level in combat handgunning. This class focuses on introducing movement to your shooting. Shooting from a stationary position will get you killed. This class will give you the skills to keep you alive! This class covers those other areas of shooting that will give you a distinct edge over the bad guys. 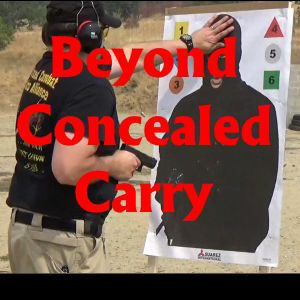 Learn the proper way to use cover and concealment, shooting from vehicles, and long distance pistol shooting. This class will safely put you in a gun fight up against someone with a knife, club, and a gun. This is fast paced and lots of eye-opening fun. We also show you how to beat the 21-foot rule. This class is for when the bad-guy is so close you can smell his breath. 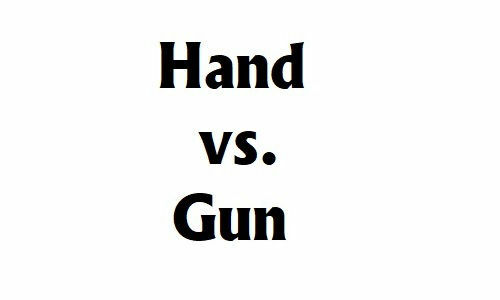 At that point, if the bad guy draws a gun, it is not a gun problem, it is a hands problem. Learn the techniques and strategies that will allow you to survive a close encounter with a weapon-wielding bad guy.